Size: 7.0 x 9.8 inches. 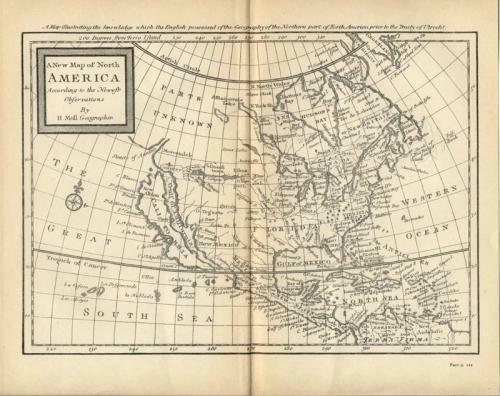 Title: 'A New Map of North America according to the Newest Observations by Herman Moll Geographer'. An 1879 edition of this early map of North America with California as an island on the second Sanson model.